Göteborg Landvetter Airport is an international airport serving the Göteborg region in Sweden. 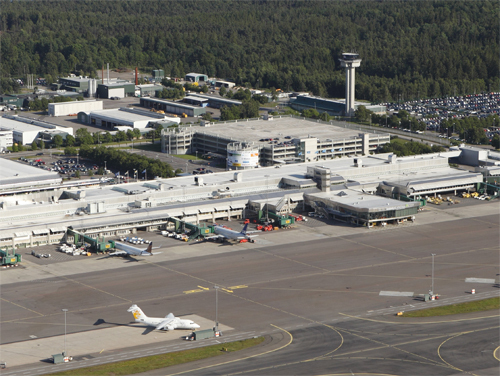 With 6.2 million passengers in 2015 it is Sweden’s second-largest airport after Stockholm-Arlanda. Landvetter is also an important freight airport. During 2007, 60,100 tonnes of air cargo passed through Landvetter, about 60% of the capacity of Arlanda. It is operated by Swedavia, the national airport company. 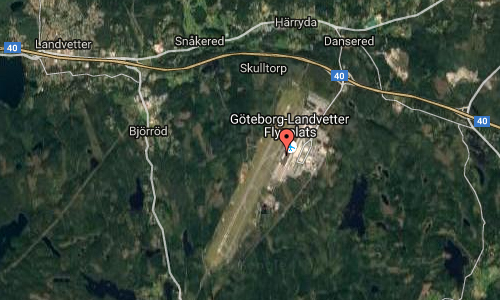 The airport is named after the town of Landvetter, which is located in the municipality of Härryda. 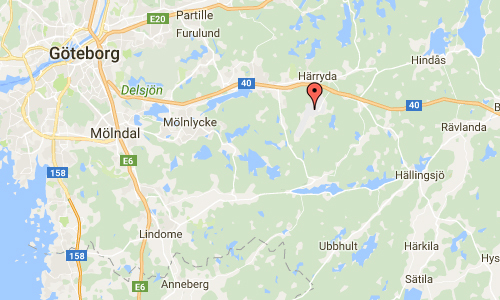 It is 20 km east-southeast of Göteborg and 40 km west of Borås. Since the closure of Göteborg City Airport for commercial operations it is the city’s only commercial passenger airport. The airport was opened in 1977. Passenger services, previously at Torslanda Airport, north of Göteborg, were moved to Landvetter in 1977. In 2001, some budget airlines began serving the former military base in Säve, which was renamed from Säve Flygplats to Göteborg City Airport. That airport was closed down in winter 2014–2015 because of large reconstruction needs, meaning an increase of traffic on Landvetter of almost a million annual passengers. There has been a tendency that international travel has increased, especially on tourists, while domestic has declined somewhat (mostly business travel). In 2013 the international terminal was extended fairly much with new shops, and in 2014 the domestic and international terminal were joined into one terminal. On 14 April 2015 Swedavia announced a 10-year long contract with DHL Express to build a new 7500 m2 large cargo terminal, replacing the old 1700m2. The construction will begin in spring 2015 and is underway for one year. This was a step included in plans for Airport City. In 2018-2020 the terminal building will be enlarged, with three new air bridges. There are also plans to build a shortcut on the railway Göteborg–Borås with a tunnel and a railway station under the airport. Construction start is planned to be 2020 and operation estimated by 2023. 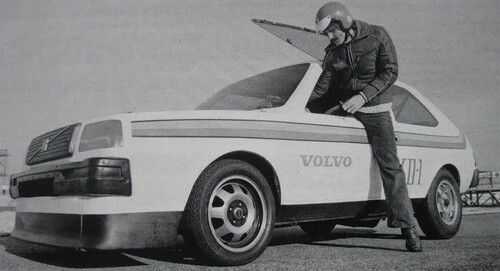 It was not easy to get into the Volvo XD-1, but the driver did not complain enough, for it is also he who has built the car. It is largely a Volvo 343, but equipped with a slimmer glass fiber bodywork, custom wheels and rims. Under the hood it looked not like a normal 343 of which sat a five-cylinder turbo diesel Volkswagen was startled to nearly 200 horsepower. It is early in the morning September 1, 1978 and the place is the relatively newly opened Landvetter Airport. It was a record run 1000 meters flying start. 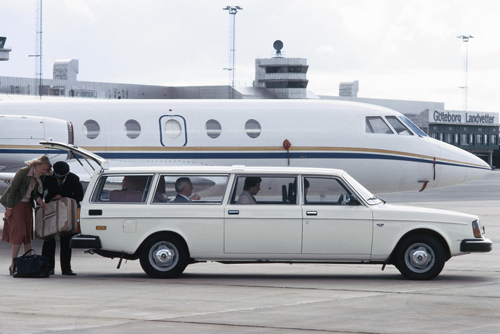 Swedish record, it was also in the class diesel-powered cars with overcharging. 209.18 km / h drove Carl-Magnus Skogh with XD-1 and that record still stands. Carl-Magnus had a long career as a racing driver behind him with both Volvo and Saab, and celebrated its 90th anniversary this December. More information at www.swedavia.se and sv.wikipedia.org.